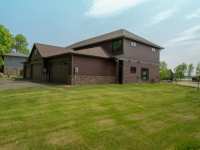 MUST SEE MILLE LACS LAKE MASTERPIECE IN PRESTIGIOUS NEIGHBORHOOD WITH LEVEL ELEVATION. YOU WILL . 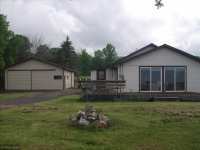 . .
HARD TO FIND 5 BEDROOM, 2 BATH HOME ON 110' OF SHORELINE ON MILLE LACS LAKE AND 110 FEET OF . . . 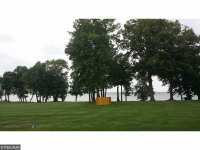 EXCELLENT LOCATION ON 2 LOTS ON MILLE LACS LAKE! BEAUTIFUL VIEWS, GRADUAL ELEVATION WITH HARD SAND . 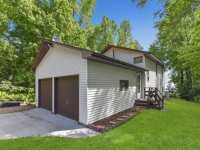 . .
SUNSET HARBOR; ENJOY LOVELY SUNSETS OVER MILLE LACS LAKE, END UNIT! MOVE IN AND ENJOY, OPEN FLOOR . 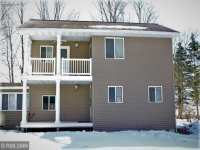 . .
MILLE LACS LAKESIDE TOWNHOME AWAITS YOUR PERSONAL FINISHING TOUCHES. THIS DEVELOPMENT RADIATES EXCELLENCE IN DESIGN &AMP; CRAFTSMANSHIP FOR CAREFREE LIVING WITH YOUR OWN . . . IMPRESSIVE MALONE ISLAND BEAUTY! FROM THE MOMENT YOU WALK INTO THIS 3 BEDROOM 2 BATH HOME YOU CAN TELL IT HAS BEEN WELL TAKEN CARE OF. GREAT OPEN CONCEPT FOR . . . 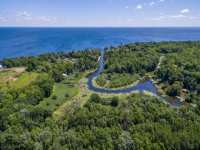 IMAGINE DESIGNING AND BUILDING YOUR OWN RETREAT ON THIS LAKESIDE LOT WITHIN PRESTIGIOUS MESHIGUN POINT BESIDE A PRIVATE HARBOR ON MILLE LACS LAKE. CAREFREE LIVING, . . . 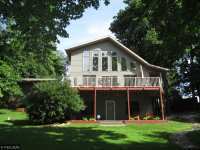 WONDERFUL MILLE LACS LAKE, 2 ADDRESSES 43231 &AMP; 43233 VISTA RD. 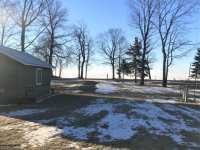 COMBINED ACREAGE APPROXIMATELY .4 ACRES, GORGEOUS LEVEL BEACH WITH ALL SAND, 2 CABINS NEEDING REPAIRS . 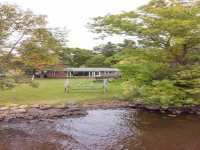 . .
MILLE LACS CABIN ON WIGWAM BAY! 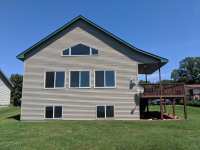 2 BED 2 BATH LAKE CABIN WITH 202 FEET OF FRONTAGE, ASSOCIATION THAT . 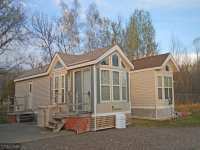 . .
CHARMING CABIN ON MILLE LACS, WHERE YOU CAN RELAX AND ENJOY THE BEAUTIFUL SUNSETS! 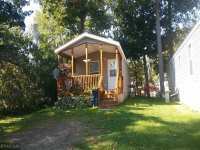 THIS 2 BEDROOM 1 BATH CABIN HAS BEEN A FAMILY CABIN FOR OVER 40 YEARS AND NOW IT CAN . . .
ONE FAMILY OWNERSHIP SINCE 1976!! 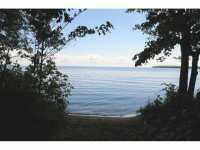 PRISTINE, PRIVATE, AND READY FOR YOUR BUILDING OR GETAWAY LAKE LOT DESIRES--COME AND SEE THIS MILLE LACS LAKE E. SIDE WOODED 1.68 ACRE . . . 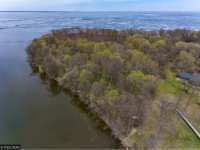 LOOKING FOR A GREAT LOT ON MILLE LACS TO BUILD THAT NEW HOME OR LAKE CABIN, 0.47 ACRE LEVEL LOT WITH 100 FEET OF FRONTAGE WITH A GREAT VIEW OF TWIN ISLANDS , ELECTRIC, . 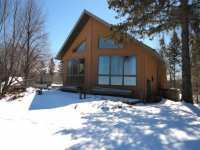 . .
VIEW THE SETTING SUN OVER MILLE LACS LAKE AT TWILIGHT ON TWILIGHT RD FROM THIS COZY 2BR, 1BA LAKE HOME. SPECTACULAR VIEW OF THE BIG LAKE WITH SPIRIT IS. 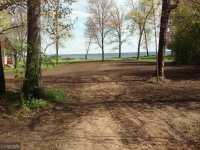 IN THE DISTANCE. . . .
BEAUTIFUL, PRIVATE ALMOST 2 ACRE LOT LOCATED NEAR THE END OF MAZOMANIE POINT ON MILLE LACS LAKE. THIS IS THE ONLY OPEN LOT LEFT ON THE POINT! THERE ARE MANY SECLUDED, . . . WELCOME TO THE CUTEST CABIN ON MILLE LACS LAKE. 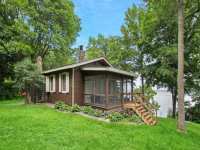 PACK YOUR BAG AND HEAD TO THE LAKE; THIS CHARMING CABIN OFFERS EVERYTHING YOU WANT WHEN YOU SPEND TIME ‘UP NORTH’. . . . 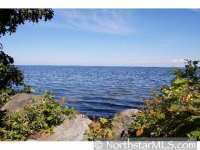 AWESOME LAKE LOT ON MILLE LACS LAKE'S BIG POINT! 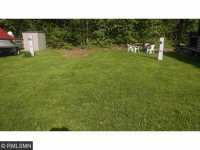 THIS 1/2 ACRE LOT HAS WELL AND SEPTIC. 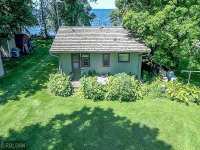 THERE IS 100' OF LAKE SHORE AND IS A NICE LEVEL LOT. IT HAS SOUTHWEST VIEW FOR . . . 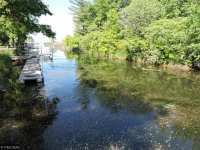 HERE IS A GREAT OPPORTUNITY TO HAVE YOUR OWN PIECE OF THE LAKE AT AN AFFORDABLE PRICE. 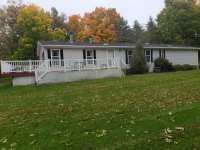 THIS 2 BED 1 BATH HOME IS 624 SQ FT AND SITS ON A .30 ACRE LOT WITH 74 FEET OF . . . 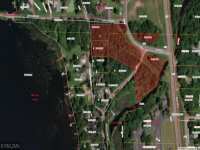 HERE IS A CHANCE TO OWN A 1.5 ACRE LOT ON MILLE LACS LAKE. THERE ARE PRECIOUS FEW RAW LAND LOTS LEFT ON THIS MAJESTIC LAKE! THERE IS FRESH PAVEMENT IN FRONT OF THIS LOT. . . . 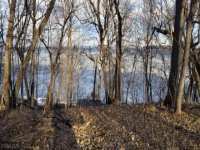 BUILD YOUR DREAM WALKOUT HOME ON THESE LOTS WITH PANORAMIC VIEW OF LAKE. 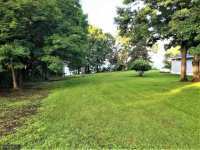 MANY MATURE TREES ON SLOPED LOTS, WITH NICE SPOT TO BUILD A LAKE HOME. PRIVATE CONCRETE BOAT . . . 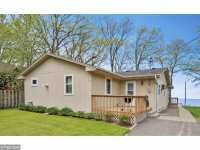 PERFECT LOCATION AND VIEWS OF MILLE LACS LAKE IN SAINT ALBANS BAY. 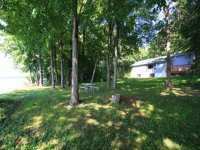 THIS 3 BED 1 BATH CABIN WITH DETACHED GARAGE HAS 200' OF SANDY LAKEFRONT AND INCLUDES 9 ACRES THAT . . . LOCATION, LOCATION, LOCATION! 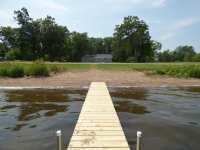 NESTLED ON THE NORTH-SHORE OF WIGWAM BAY ON MILLE LACS LAKE IS WHERE YOU WILL FIND THIS BEAUTIFUL WOODED LAKE PROPERTY. CLOSE ENOUGH TO . 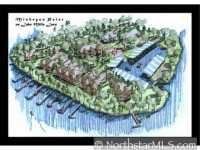 . .
LAST LOT LEFT IN THIS EXCLUSIVE MILLE LACS LAKE DEVELOPMENT. 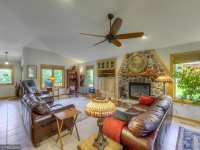 LOCATED 5 MILES NORTH OF THE GRAND CASINO AND ACROSS THE STREET FROM THE NEW NORTHWOOD HILLS GOLF COURSE/BAR . . .
WHAT A CLEAN NEAT PROPERTY! 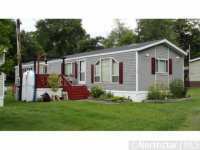 THIS 70X16 SCHULTZ MANUFACTURED HOME SITS ON CEMENT SLAB. 3 BD - 2 FULL BATH, COMES FURNISHED. TURN KEY. 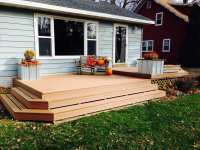 HAS 32X8 DECK TO SIT AND ENJOY THE . . .
MILLE LACS FISHERMAN-THIS IS JUST WHAT YOU'RE LOOKING FOR! 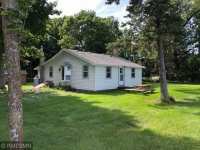 1 BED, 1 BATH, CABIN IN ISLE MN &AMP; JUST FEET FROM THE SHORE. DITCH YOUR PARK MODEL! NO EXTERIOR MAINT.! . . . UNIQUE OPPORTUNITY TO PURCHASE THE LAST TWO AVAILABLE LOTS IN THE IZATYS TOWNHOME ASSOCIATION! POTENTIAL TO BUILD TWO TOWNHOMES THAT OFFER AN UPDATED AND DIFFERENT . . . 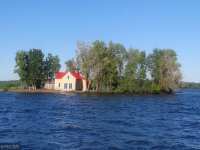 STUNNING, SPECTACULAR, AND A RARE FIND ON LAKE MILLE LACS, BEAUTIFUL HOMES RIGHT NEXT DOOR, BUILD YOUR OWN LOVELY HOME OR ENJOY THE CUTE BUNK HOUSE, WALKING STEPS TO . . .
NO WORK TO DO, JUST RELAX AND ENJOY! 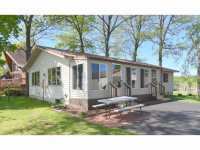 THIS 2008 CUSTOM 2BR MANUFACTURED HOME IS LIKE NEW &AMP; . . . 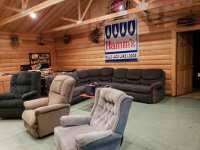 PERFECT SET UP FOR OUTDOOR LOVERS THAT WANT TO GO TO THE LAKE &AMP; HAVE FUN WITHOUT ALL THE MAINTENANCE &AMP; UPKEEP. SELF-MAINTAINED ASSOCIATION. SHARED HARBOR . 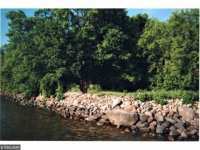 . .
BEAUTIFUL LOT #39 AT BREAKERS SUNSET BAY RESORT, LAKE MILLE LACS! THIS IS A GATED PARK. 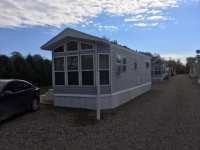 LOT INCLUDES A 1 BED 1 BATH 2004 DUTCH PARK CLASSIC 772 PARK MODEL TRAILER WITH A . . . THIS IS THE WAY TO "DO" MILLE LACS! DRIVE UP..PARK..PULL UP THE LAWN CHAIRS &AMP; COOLERS AND ENJOY THE SUNSETS! THIS PARK MODEL IS READY TO GO! 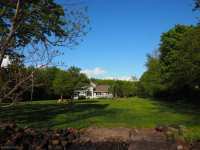 LARGE LOT WITH PRIVATE . 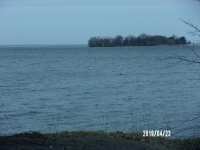 . .
NICE LOT ON MILLE LACS LAKE CHANNEL READY FOR YOU TO ENJOY THIS SUMMER. OWNED AND NOT PART OF MILLE LACS ISLAND RESORT. SEWER AND WATER SHARED AND ARE BILLED THROUGH THE . . .
BEAUTIFUL BUILDING SITE ON MILLE LACS LAKE. 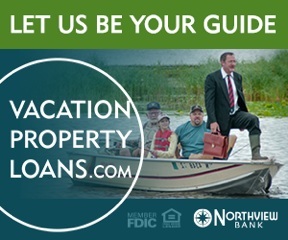 BUILD YOUR DREAM HOME OR UP NORTH GET AWAY ON ONE OF MINNESOTAS FINEST FISHING LAKES. IDEALLY LOCATED 5 MILES NORTH OF THE . . .
BEAUTIFUL BUILDING SITE ON MILLE LACS LAKE. 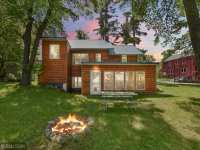 BUILD YOUR DREAM HOME OR UP NORTH GETAWAY ON ONE OF MINNESOTA'S FINEST FISHING LAKES. IDEALLY LOCATED 5 MILES NORTH OF THE . . .
SUNSETS, SANDY BEACH, MARINA, WORLD CLASS FISHING. THIS WELL ESTABLISHED RESORT LOT AND WELL MAINTAINED 2006-1 BEDROOM &AMP; LOFT PARK MODEL WILL ALLOW YOU TO ENJOY THE . 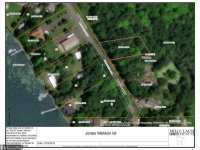 . .
AMAZING OPPORTUNITY TO BUILD OR DESIGN YOUR DREAM IN THE CITY LIMITS OF ISLE WITH LAKE ACCESS. 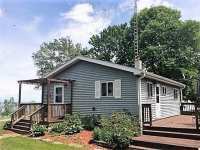 ENJOY PROTECTED LAKE ACCESS TO MILLE LACS SOUTH SIDE THRU THE THAINES . . . 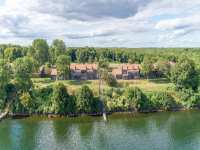 STUNNING SUNSETS, SAND BEACH, PROTECTED MARINA, PREMIER WALLEYE AND BASS FISHING - FIND ALL THIS AND MORE IN THIS GATED PARK MODEL COMMUNITY WITH A LONG LIST OF . . . 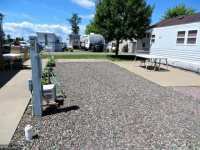 LOT 38 IN BREAKERS RV PARK ON BEAUTIFUL MILLE LACS LAKE. LOT HAS WATER, SEWER, ELECTRICITY ON SITE. WIFI INTERNET AND TELEPHONE AVAILABLE. ASSOC DUES ARE $85 PE MONTH . . .
UP NORTH LIVING!! 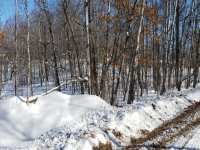 BUILD YOUR NEXT HOME OR CABIN, RIGHT BY THE SOO LINE FOR FOUR WHEELING AND SNOWMOBILING, FISHING AND MUCH MORE.... GREAT RECREATIONAL AREA A SHORT . 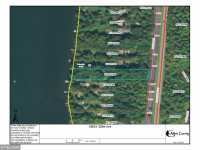 . .
RV LOT WITH DEEDED BOAT SLIP IN ROCK HARBOR ON MILLE LACS W SIDE. ASSOCIATION DUES $800/YEAR. COMMON STORAGE AREAS, FISH CLEANING HOUSE, DOCKS, BOAT LANDING AND SMALL . 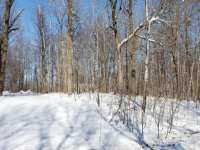 . .
½ ACRE HEAVILY WOODED LOT READY FOR CAMPER, PARK MODEL, CABIN OR HOME. 1 BLOCK FROM MILLE LACS LAKE ON EAST SIDE JUST SOUTH OF GARRISON. CLOSE TO GOLF LAKE CASINO AND . . . 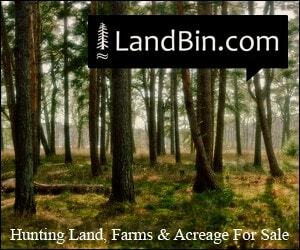 HEAVILY WOODED LOT READ FOR CAMPER, PARK MODEL, TENT OR SMALL CABIN 1 BLOCK FROM MILLE LACS LAKE ON EAST SIDE JUST SOUTH OF GARRISON. 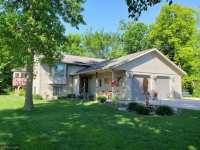 CLOSE TO GOLF, LAKE, CASINO AND . 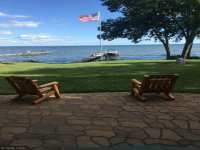 . .
26 Listings in Isle MN ..
12 Listings in Onamia MN ..
Gorgeous scenery, a welcoming local crowd, small-town festivals, charming shops and world-class outdoor recreation abound in the area surrounding the acclaimed Mille Lacs Lake of North-Central Minnesota. 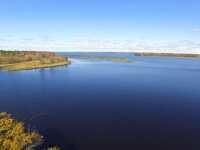 In fact, Mille Lacs Lake has the distinction of being Minnesota's second largest inland lake and is known world-wide as an ideal destination for family fun and relaxation. Biking, hiking, boating, sailing, water-skiing, swimming, ice-fishing, snow-mobiling and horseback riding are but a few of the outstanding outdoor recreational pastimes here at Mille Lacs Lake. No matter what your level of interest in outdoor recreation, Mille Lacs Lake is sure to offer the perfect way to spend an afternoon on the shores of the lake. Whether summer or winter, the Mille Lacs Lake region is a four-season destination for world-class fishing, horseback riding and hunting. Swimming and boating in summer round out the outdoor amusements here. Even if nature isn't exactly your cup of tea, the area surrounding Mill Lacs Lake boasts many amusements including museums, shopping and casino gaming. Cities such as Wahkon, Isle, Cove, Malmo, Garrison and Wealthwood offer great shopping, dining and an absolute wealth of welcoming local charm. Mille Lacs Lake allows you to enjoy the great outdoors without sacrificing all of the comforts and pleasures of a thoroughly modern vacation. 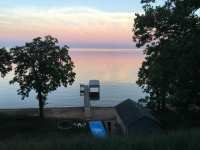 Speaking of a thoroughly modern vacation, Mille Lacs Lake and its shoreline are home to some of the most beautiful vacation cabins and homes of the Northwoods. From rustic to grand, the perfect abode for you and your family is sure to be just around the corner. 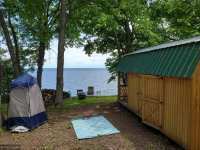 If you are considering a trip to the Mille Lacs region, there are countless vacation rental cabins available along the lakeshores. 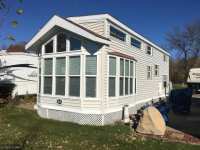 If you are looking for a great investment, be sure to keep an eye out for Mille Lacs Lake properties as they become available for sale. Whether you are looking for a brief stay or an extended commitment, make sure you jump on the perfect rental or purchasing opportunity when you find it. Property along the lake is highly desirable and the real estate market moves quickly, particularly when a gorgeous, luxury vacation home appears on the market. The outstanding agents at LakePlace.com Realty can help you keep an eye on the market and identify the perfect property for you, to help you get a jump on other prospective renters and buyers so that delay doesn't cost you your dream vacation home. Anglers are sure to be pleased by the world-class fishing opportunities here at Mille Lacs Lake. With thousands of acres of surface area and an average depth over twenty feet, Lake Mille Lacs is the perfect spawning ground for northern pike, muskie, small mouth bass, tullibee and jumbo perch. Mille Lacs Lake is known as one of the world's best lakes for walleye fishing - walleye pan-fried over a campfire - yum. Whether winter, spring, summer or fall, the fishing is simply outstanding here on the waters of Mille Lacs Lake. 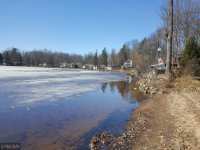 Located in the richly beautiful Northwoods of north central Minnesota, parts of Mille Lacs Lake are located the counties of Crow Wing, Aitkin and Mille Lacs. Originally inhabited by the hunting and foraging tribes of the Ojibwe Indians, the Mille Lacs band of the Ojibwe were among the first inhabitants of these lands. In the 19th and early 20th centuries, an influx of European settlers arrived in the Mille Lacs Lake region, drawn by the rich supply of lumber, wild game, iron ore and breath-taking scenery. Employment for the Ojibwe Indians was scarce as the region developed and grew, depriving the bands of access to lands they once roamed and hunted freely. With the establishment of the Grand Casino Mille Lacs, the economic conditions of the Mille Lacs band improved, providing a thriving income to the remaining members of the tribe. Visitors today can experience the rich cultural traditions of the Mille Lacs band of the Ojibwe tribe when they host annual pow-wows, traditional dance displays and other ancient rituals. For more insight into this amazing tribe, a visit to the adjacent museum is a must. The Mille Lacs Indian Museum and Trading Post along the southern lakeshore offers visitors the opportunity to explore the rich cultural heritage of the tribe. Demonstrations of beadwork, Native American cooking, crafts and dancing are held routinely on the grounds of the museum and are sure to delight old and young alike. Before leaving, be sure to check out the gifts and crafts available for sale at the restored trading post - it's a great way to collect a memento of you time here at Mille Lacs Lake. With its plethora of outdoor activities, resorts, attractions, dining and shopping, Mille Lacs Lake is truly an all season vacation destination perfect for your next family excursion! 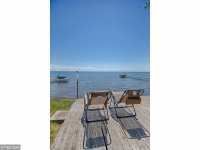 Whether you are looking for a great vacation rental or a long-term investment, look no further than Mille Lacs Lake. With stunning scenery, a plethora of outdoor activities, and a variety of festivals and events in the surrounding communities, Mille Lacs Lake, Minnesota's second largest lake, is an ideal destination for family fun and relaxation. The lake itself is approximately 200 square miles of fishing paradise. Nature lovers will delight in the countless outdoor activities, regardless of season, temperature or weather. From antique shopping to casino gaming, the cities and communities surrounding the lake are sure to offer something for every member of your family or traveling party. 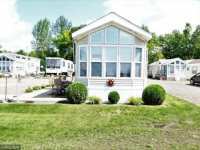 So come on up to Mille Lacs Lake to enjoy the splendor of nature combined with all of the comforts of modern vacationing. 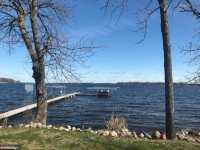 Located in the richly beautiful Northwoods of north central Minnesota, Mille Lacs Lake spans the counties of Crow Wing, Aitkin and Mille Lacs. Approximately 500 years ago, the Mille Lacs band of the Ojibwe tribe began migrating into this area of north central Minnesota. As a result of the seemingly endless supply of lumber and natural resources, European settlers began flocking to the Mille Lacs Lake area in droves in the latter half of the 19th century. Infected by unfamiliar diseases and displaced by these new inhabitants, the impoverished Mille Lacs band numbered only a few hundred by the end of the 1800's. With the establishment of the Grand Casino Mille Lacs and other area resorts, the Mille Lacs band was strengthened by the influx of tourism revenues. As a result, the rich cultural heritage of the Mille Lacs band of Indians lives on today. Surrounding Mille Lacs Lake are eight charming cities and communities all brimming with Northwoods hospitality and charm. Along the southeast shore of the lake lies the community of Wahkon. With its establishment in 1885, Wahkon is the oldest community of the Mille Lacs Lake area. To the east of Wahkon lies the city of Isle. Isle features a wide variety of resorts, restaurants, attractions and shopping. On the opposite side of the lake lies the city of Garrison, a fishing mecca since the late 19th century. In Garrison, MN, fishing guides and lake tours will assist you in your quest for the perfect fishing vacation. Shoppers will delight in the antique and gifts shops along the streets of downtown Garrison. Other area communities include Cove, Malmo and Wealthwood, which all feature unique gift shops, restaurants and lake access. 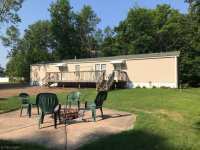 With eight surrounding cities and communities, the Mille Lacs Lake area is sure to offer the perfect accommodation choice as you plan your stay in this Minnesota Northwoods paradise. Families can choose from tent camping, RV sites, budget hotels and bed and breakfasts in local communities. For those seeking a bit of pampering, there are a variety of luxury hotels and resorts in the Mille Lacs Lake area. 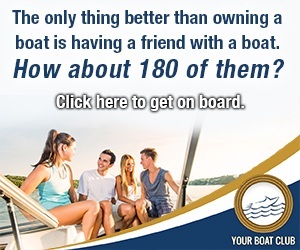 For longer stays, consider purchasing a time-share or renting one of the gorgeous vacation homes and lake lots located along the shores of the lake. Who knows? You may even find the perfect spot to permanently relocate along the shores of Mille Lacs Lake. In the warmer months of the year, Mille Lacs Lake vacationers and locals alike can enjoy a kaleidoscope of outdoor activities such as fishing, hiking, mountain biking, swimming, boating, canoeing, all-terrain-vehicle (ATV) riding and golfing. Winter brings classic Northwoods pastimes such as snow-shoeing, cross country skiing, and snowmobiling through the snow covered forests. If fishing is your sport, Mille Lacs Lake is sure to please. With its large size and average depth between twenty and thirty-eight feet, Mille Lacs Lake is an ideal spawning ground for northern pike, muskie, small mouth bass, tullibee and jumbo perch. Mille Lacs Lake is actually one of the world's best lakes for walleye fishing. In the summer, rent a boat and kick back as you fish on the gently rocking lake. If your visit occurs in the winter, don't fret. Visitors can rent an ice house and experience the unparalleled ice fishing on Mille Lacs Lake. Once you have taken the opportunity to sample to beauty of nature around the lake, be sure to check out the many historical sights of interest in and around Mille Lacs Lake. The Mille Lacs Indian Museum and Trading Post along the southwest shore of the lake offers visitors the opportunity to learn about the rich cultural heritage of the Mille Lacs band of the Ojibwe tribe. Explore the museum as it traces the history of the tribe settling in northern Minnesota through artifacts and interactive exhibits. You may even be lucky enough to catch one of the demonstrations of Native American cooking, beadwork or basket weaving. Next to the museum, the restored trading post remains in operation today, selling traditional, handmade Indian crafts, food and gifts. With its plethora of outdoor activities, resorts, attractions, dining and shopping, Mille Lacs Lake is truly your all season vacation destination. So check it out for your next vacation! You certainly will not be disappointed!